Morrisons graduates are our future business leaders. Their many different graduate schemes will provide you with the skills, experiences and personal qualities you need to be a big success. Supported every step of the way by a buddy, mentor and Morrisons managers, you’ll take on new responsibilities from the very start and be given the chance to manage teams and projects. Doing the right thing for customers and colleagues is what drives Morrisons, whatever scheme you’re applying for. Morrissons Situational Judgement test presents you with a series of challenging scenarios that one might encounter in the workplace and then a number of possible responses to the scenario. You then chose which one you feel is the best way to describe how you would react. Morrisons Numerical Reasoning test comprises of a series questions to be answered in within a specific time which will vary from company to company. They relate to graphs, percentages and tables whereby you will be asked to analyse data and chose from a set of multiple choice answers. These are designed to assess your numerical abilities and it is wise to practice them prior to the beginning the application process. 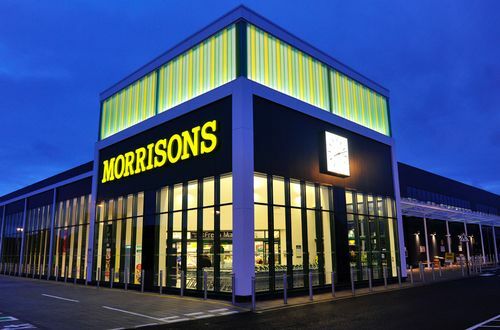 Morrisons Verbal Reasoning test comprises of a series questions to be answered in within a specific time which will vary from company to company. You will be presented with a series of paragraphs which you will be required to read and then answer questions. Your options will be True, False or Cannot Tell. This test is designed to assess your comprehension, literacy and analytical skills. You may be required to participate in group work. This is designed to test your people skills and how you work within a group. You will be required to work on a series of tasks with other people and to provide possible solutions to any given problems and discuss with the group. You’ll be placed in groups and will be assessed on how you interact in groups. Make sure to find a happy balance between being dominating and passive. The assessors are looking to see what traits arise when in a group situation. This is designed to simulate a work place scenario. You will be provided with a large amount of information including messages and be expected to write an email reply based on what you have read. This will be to assess your written communication skills, your grammar, your vocabulary and whether you are able to write a formal letter/email, as well as how well you work under pressure. This will involve having to handle the type of work place scenario that you would experience at the company where you will be assessed on your behaviour, your knowledge and the way you handle the situations you are presented with. An example of a role play exercise would be dealing with an unsatisfied customer. You’ll be asked to prepare a presentation on a topic given in front of the assessors. You will then be required to answer questions in order to demonstrate your knowledge of the company and how you would work under pressure. The exercise is also designed to see how well you process and analyse data.